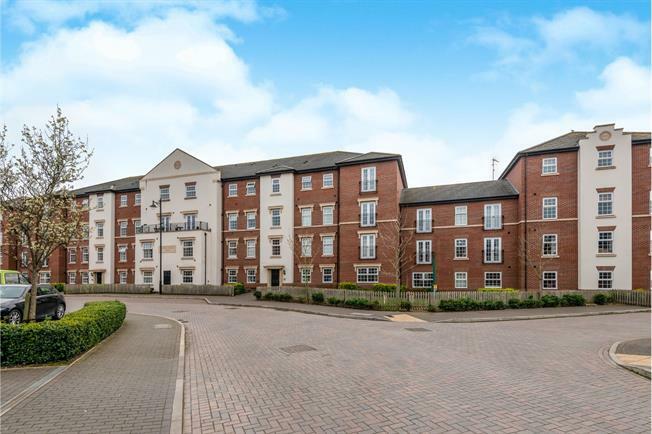 2 Bedroom Flat For Sale in Stafford for Offers in the region of £135,000. Well appointed top floor apartment within walking distance of the town, comprises lounge, kitchen area, master bedroom with en-suite shower room and separate bathroom. Communal parking. Having airing cupboard housing water tank and further storage/cloaks cupboard. Having two radiators and double glazed window. Having a range of wall and base units with work surfaces over incorporating a draining sink unit, tiled splashbacks, integrated oven and hob with extractor over. Integrated washing machine and tiled flooring. Having radiator and double glazed window. Having shower cubicle, pedestal wash hand basin, low level WC, heated towel radiator and part tiled walls. Having radiator, double glazed window and storage cupboard. Having panelled bath with shower over, low level WC and pedestal wash hand basin, part tiled walls and heated towel rail.